CFDA announces nominees for Accessory Designer of the Year – who gets your vote? 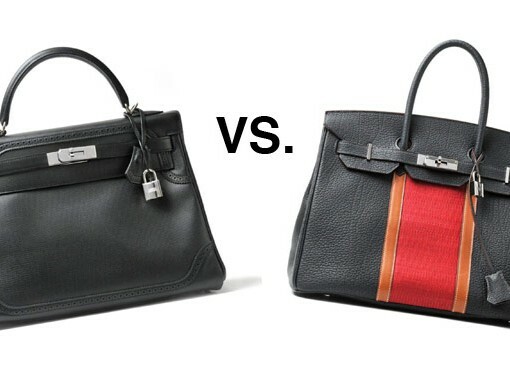 PurseBlog Asks: Are you in the market for crocodile? It’s easy to become price-blind when you spend your days hunting down and discussing designer accessories, but sometimes life has a way of reminding you just how much a dollar is actually worth. I experienced that recently when trying to buy my first set of post-college, post-Ikea Big Girl furniture and found that I could decorate my bedroom rather elaborately for the same amount of money that I’ve been contemplating spending on a crocodile-embossed Celine Phantom Luggage Tote this fall. 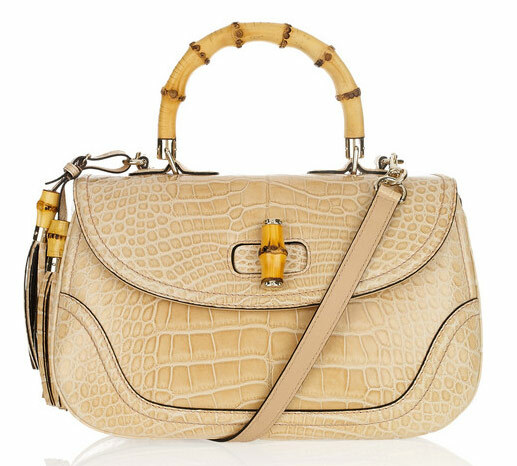 For real croc, like the Gucci New Bamboo Crocodile Shoulder Bag? I could probably do a whole one-bedroom apartment, including a nice TV. At fifteen inches wide, this is a generously sized bag for the sort of structure it employs, but $14,000 means something different for me now than it did last week. 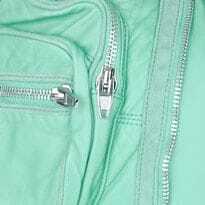 Would you ever pay that much for a bag? Are you interested in crocodile at all? 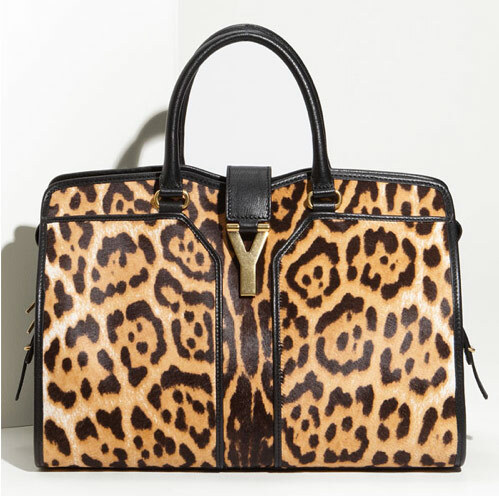 Buy through Net-a-Porter for $14,200. 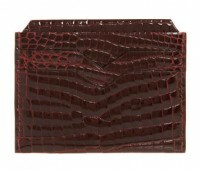 For me, the Valextra Crocodile Credit Card Holder crosses that threshold. While Valextra is a brand whose craftsmanship and exquisite materials often do warrant higher prices than its competitors, over $3,000 for something which cannot even be accurately called a wallet is beyond the pale, and I feel comfortable saying that there’s almost no chance that the time, effort and crocodile skin that went into this piece could be worth anywhere near what Valextra is charging, no matter how beautiful it might be. (And it is quite beautiful.) What say you? Take our poll, but first take a look at the larger photo after the jump. You want to be accurately informed when you vote, after all. 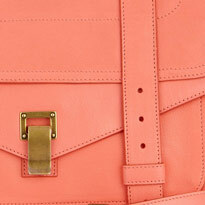 PurseBlog Poll: Are you over studs? While shoe shopping yesterday, I encountered a sales associate that very much wanted to tell me all about the trends for Fall 2010. I worked retail in college, so I never mind letting someone do their sales spiel without interruption, even if I already know what it’s going to contain. This time, though, I had to stop the poor guy when he got to the part about studs. I’m so over studs. When I told him that, he made a face like I had just kicked his puppy and sounded appalled that I would make such a bold declaration. I hadn’t given much specific thought to whether or not I still thought studs were cool, but when the sales associate was waving a pyramid-covered combat boot in my face that I had no intention of ever trying on, let alone buying, it became clear – I’m done with them. But is fashion done with the trend, and more importantly, are you? 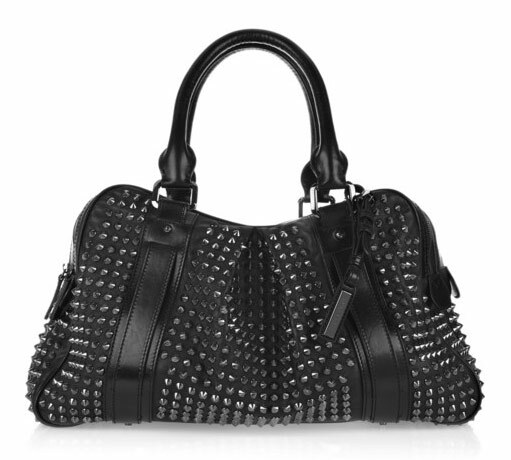 With the appearance of this Burberry Studded Leather Travel Bag on Net-a-Porter yesterday morning, it looks like some retailers hope we’ll buy in to heavy metal for at least a few months longer.